Everyone wants to get into the housing market. Home prices only seem to be rapidly increasing, each year putting you further and further behind the pack. The down payment starts becoming too expensive for some people when they think about how much they need to secure a mortgage. 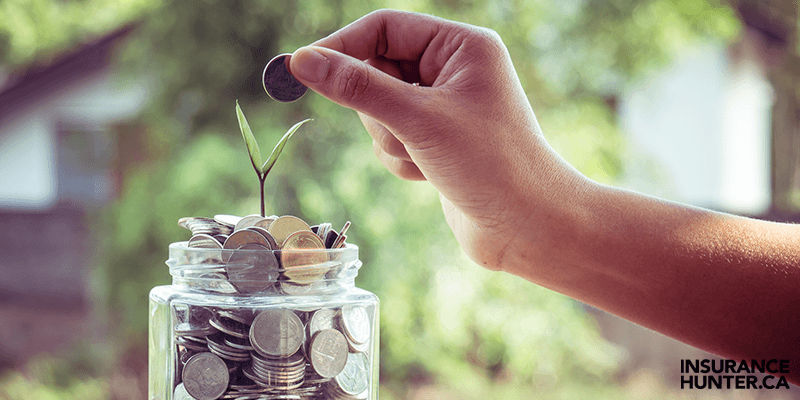 If you’re looking for some practical everyday tips that can jumpstart your savings and keep them banked, then you’ve come to the right post. You can enter the housing market too, if you make a plan to save. Sacrifices will be made, and hurdles will be overcome. The down payment is the first step, but it doesn’t mean that you can automatically afford a house just because you’ve saved up enough for the down payment. You need to make sure you can make some of the largest monthly payments of your life on top of your regular bills. A larger down payment will make the mortgage payments more affordable since you’re borrowing less with a lower interest rate. A down payment on a mortgage is very similar to a down payment on a car: it’s the money you pay upfront, and it determines how much of the mortgage loan you will need to pay back. The minimum down payment on your home will depend on the value of the house you plan on buying. Lenders will assess whether you can afford a mortgage loan and its associated fees. Your loan application may be denied if your monthly payments will exceed 28% of your pre-tax monthly income. This is why couples are usually able to afford mortgages before single homebuyers. If the home is less than $500,000, your minimum down payment is 5% of the purchase price; if the home costs above that but less than $1 million, your down payment will be 10% of the extra cost, plus the original 5%; if the value is above $1 million, your minimum down payment is 20% of the home’s value. To determine how much you need for your down payment, you need to decide how much you want to spend on a home within your budget. Then, you can start saving towards the 5%, 10% (+5%) or 20% goal. If you look at a low-cost option for a home, you’ll be able to enter the housing market sooner and trade up once your property increases in value. Think about investing in a condo unit for a few years first, rather than setting your sights on a detached, single family home. The latter option may take decades to save up for, and, could become a realistic option once you use the money from the sale of your smaller real estate to level up. Now that you have your goal in mind, it’s time to save. To achieve the larger goal, you need to make smaller monthly goals and store money away like a squirrel before winter. If you’re aiming for a $45,000 down payment over five years, for example, you’ll need to save around $9,000 per year or, $750 to get there. Doing the mental math in advance will give you extremely helpful and realistic goals concerning what you can actually afford, and what you need to cut out of your spending personality. But how can you possibly save moremoney at the same job? If you’re living alone or with a partner and want to save up to buy a home, the next step forward may have to be backwards. Maximizing your savings may come with a temporary downsize. Your parents will be very excited to hear about your journey towards homeownership, especially if they have space to accommodate you (and maybe your partner) at their home. Propose to pay them some rent and help with meals, and you’ll be able to remove a large portion of your monthly expenses and put them toward your down payment. If you’re paying a pretty high rent in a trendy neighbourhood, downsizing from a 2-bedroom to a 1-bedroom will cut your monthly expenses. Even moving from a 1-bedroom to a studio or basement apartment would be a smart albeit dreaded option. If anything, get out of that expensive neighbourhood, sell your car, and take transit to work. This is one of the major sacrifices that will only pay off in the end. Stash the money you’re saving into your down payment plan. Reducing your outbound payments will jumpstart your nest-egg in ways that staying in that trendy loft space cannot. This means bringing your lunch to work for years. It’s a lifestyle habit that you have to get into. You’ll stop spending $40 to $50 per week at lunch time and spend that on the groceries that you’d need anyway. You'll stop spending $30 to $50 per week on take-out dinners and redirect your attention to eating well at home. Your budget will be more direct, and it could save you a few thousand per year. Additionally, spending your money at the local green grocer or budget grocery store instead of the premium establishments will cut costs as well. Heck, plant a vegetable garden! And restaurant dates happen, we get it. Birthday dinners, holidays and business meetings can be unavoidable meal expenses. What you can do is eat a bit before you go out so you spend less on your bill, stop buying fancy cocktails and crazy appetizers, and eat enough so you’re comfortable. Know that you have cheaper, healthier food at home should you need it later. This is something you’ll need to seek professional portfolio advice on, but if you’re looking to purchase a home five to ten years down the line, investing in a safe stock option could greatly accelerate your savings plan. But wait! Don’t put all of your saved money into the stock market! Put perhaps 20 to 25% of your banked savings into it, that way you won’t lose everything should the market trend downwards. Buying a home is a big deal, so saving for one has to be a big deal too. Having a sizeable down payment gets you mortgage-free sooner with lower monthly payments. Yes, sacrifices abound, but the payoff will greatly outweigh the few years you’ve had to spend with your parents, bringing your lunch to work every day. You’ll be able to invite them over for a celebratory barbeque, and if it’s in your plans, maybe they’ll have some grandkids to look after!